What you need is an ACTION PLAN. 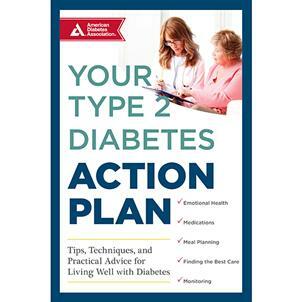 Take the first step in taking back your health and your life with Your Type 2 Diabetes Action Plan. This action plan is packed with small steps to make your everyday journey the beginning of lifelong health and well-being. From understanding diabetes basics to learning how to prevent or delay complications, this book teaches how even small changes—changes in nutrition, physical activity, medication, and even lifestyle—can have a positive impact on your daily routine and lead to lifelong healthy habits. department at (703) 299-2056 for pricing.